Macro photographers have an eye for detail as they try to pursue as much sharpness as possible in each photograph of their subjects. Having a Canon 7D Mark II is a big help in your pursuit for eye-catching macro photos as it helps you deliver sharp images with its 20-megapixel CMOS sensor. The camera also has other features to aid you in enhancing your craft such as its 65-point Auto-Focusing system (all are cross-type), a Dual Digic 6 processor, and enhanced weather sealing. It even has a larger capacity battery as compared to the original Canon 7D. However, just having a Canon 7D Mark II might not be enough to bring out every inch of detail in your macro images. Whether you’re shooting the eyes of teeny-tiny insects, the face of an old coin, or the intricate weaving of a basket, you need to have quality macro lenses for Canon 7D Mark II at your disposal. With the right macro lenses to use with your Canon 7D Mark II, just about every bit of detail, you’re looking for in each image will be there. Other than that, quality macro lenses will give you the right mixture of color balance and contrast. As such, minimal amounts post-processing might be required so you don’t have to spend hours-and-hours in front of your computer trying to correct an image. Looking for excellent macro lenses on the market might be cumbersome because there are so many of them. If you’re having a bit of difficulty in choosing the right model, then we’ve gathered the best macro lenses for the Canon 7D Mark II right here in this post for your convenience. 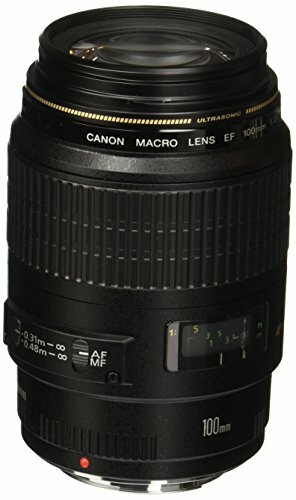 What makes the Canon EF 100mm f/2.8L Macro IS USM lens special is it is the first among many macro lenses of the brand that comes with an Image Stabilization (IS) feature. This functionality is paired with high-quality optics to deliver macro images with plenty of detail. It also has a near-silent Ultra Sonic Motor (USM) for quiet, fast, and accurate auto-focusing. When it comes to speed in focusing, this unit is among the fastest in the macro lenses category. Speed in focusing is crucial to the macro photographer, especially if you’re into taking pictures of insects. Because the tiny critters are very unpredictable as they might fly or scuttle off with you knowing, you need to take a photo of them before they’re out of the frame. This particular lens also has a Hybrid Image Stabilization Technology built into it to compensate for any mild shifts in the position of your Canon 7D Mark II (or any other DSLRs). As such, if you’re worried about slight camera shakes because you’ve got shaky hands or if there’s a mild wind blowing, the lens will compensate for it and still give you pin-sharp images. The Canon EF 100mm f/2.8 Macro USM lens can aid in bringing the smallest things to life in your images. You can take pictures of intricate patterns on clothes, the appendages of insects, or perhaps a beautiful flower that’s just sitting on your front lawn. You might be confused with this particular lens with other macro lenses for Canon 7D Mark II on the market, especially if you compare it with the Canon EF 100mm f/2.8L Macro IS USM. 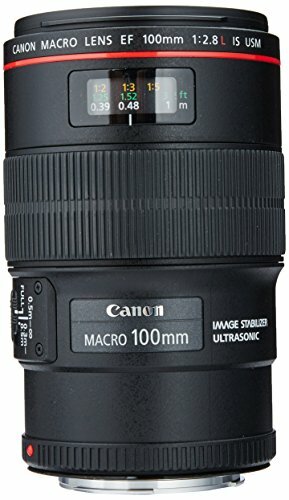 While the Canon EF 100mm f/2.8 Macro USM and Canon EF 100mm f/2.8L Macro IS USM bear almost the same names, they do have different specs and features. The f/2.8L variant is part of the brand’s L-series of macro lenses, and it does promote better performance to allow you to shoot higher-quality images. However, this comes with a large bump in its price tag. Hence, if you’re a macro photographer and still want good quality images with plenty of detail but are on a tight budget, then the Canon EF 100mm f/2.8 Macro USM lens can still give you amazing results. 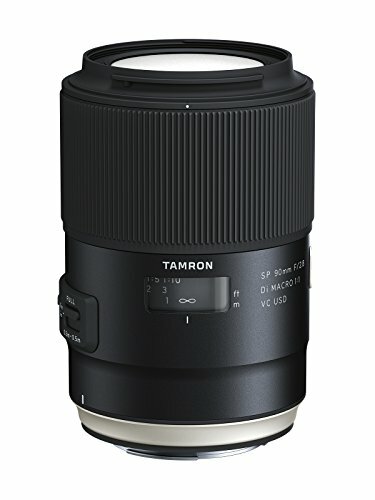 Aside from stability and focusing speed, another factor to consider when searching for quality macro lenses for Canon 7D Mark II on the market is durability, and the Tamron SP 90mm f/2.8 Di VC USD Macro lens has that trait. It is dust and weather-sealed so you don’t have to worry about it too much if you’re out in the wild trying to photograph various flora, fauna, and tiny insects in their natural habitat. It has a metallic barrel and an improved built-in image stabilization feature as opposed to using lower quality macro lenses. It has an optical construction of 14 elements found in 11 groups. One element even comprises of a Low Dispersion (LD) unit while two have Extra Low Dispersion (XLD) embedded into them. What it means is that it prevents the glass elements of the lens from the condensation of moisture. The front element of this particular lens is also smudge-resistant so that you don’t have much to worry about should you accidentally touch the glass portion. It might be difficult to take a look at the market for macro lenses as there are so many to choose from for your Canon 7D Mark II. If you’re having trouble selecting the right one for your high-end DSLR, then hopefully this guide has shed some light on your decision-making process to help you arrive at a conclusion of your long search.